Bathing is my favourite time, bubbles, water softened up, steam and candles. The one thing that can be the trickiest is the feel of bath-time products, a lot of them can try out my skin so I do stray from various brands and ingredients. As soon as I hear the word soap, I don't bother me & soap aren't friends. 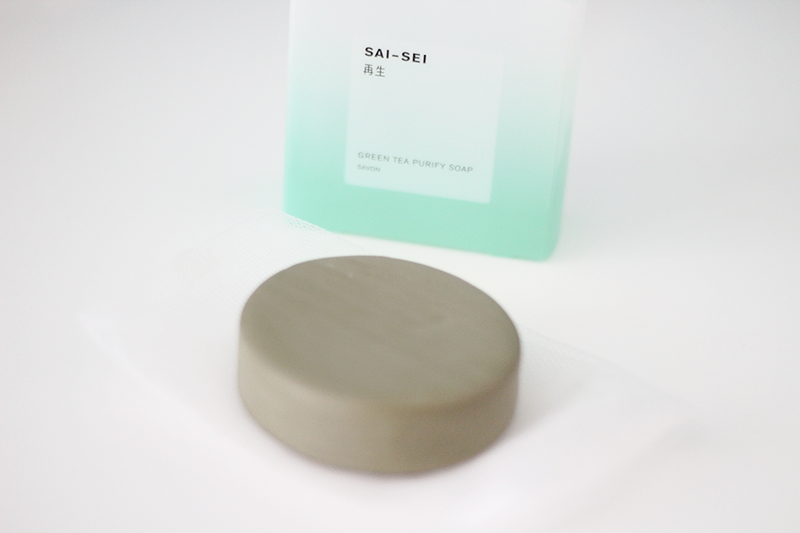 When I was offered to try Sai-Sei, I did a little research and was intrigued to try this is one of two products. Sai-Sei meaning rebirth and renewal honours the principals and rituals of the Japanese onsen hot springs whose healing waters are used to cleanse, restore and reinvigorate the mind, body and spirit. Green Tea - highly regarded in Japan for its anti-oxidant properties. Glycerine - vegetable derived moisturiser. It comes with a net, that you can use with the soap. 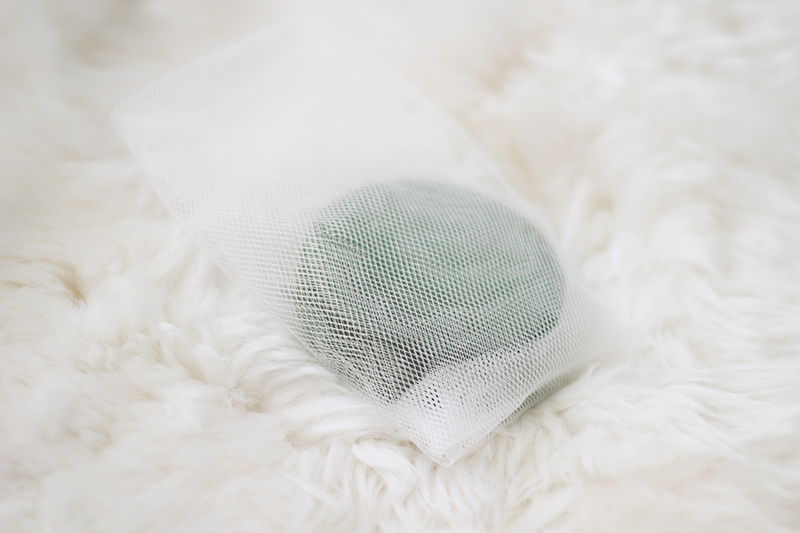 Using the net to exfoliate is gentle on the skin enough to use daily. The soap has a gentle, steady lather while the fragrance is not overwhelming but soft so don't be surprised if there is no big smell you want to linger. The big thing for me is once I've washed the suds away, the aftermath of my skin. With soaps I can find the skin is sucked out of moisture, with this I still feel that but not as much, it's not high in moisture for me, unfortunately. With the Shea butter, I hoped there would of been more moisturising for my skin. I don't get dry skin but when I use something in my bath, I'd like to feel more moisture. Due to the ingredients, it's good for those with sensitive skin in my opinion. I'm still using this soap daily, it's handy to have a good soap that can exfoliate safely. £15 for a soap may be a steep price for some to pay. With products like this we have to take into account the the ingredients and what they are offering. Does not contain parabens, sulphates, glycols, mineral oil, petrolatum, PEG, DEA, TEA, Silicones, Phthalates. Have you ever tried anything from Sai - Sei? Never heard of this brand but it does sound intriguing! I'm just like you, I keep soap well away from my skin! *shudders*. £15 is a bit steep for a bar of soap but wouldn't mind receiving this as a present or even purchasing it as a gift for someone else. Great review as always my lovely. it sounds great .. but yeah kinda expensive..